There are typically two kinds of creatives - the kind who create for themselves alone – for no one else to ever see – and the kind who create for others. There is no wrong answer. You can also be both. You - right now, reading this - is what makes me wake up at 5:00AM to write it. If you too find great joy in creating things for other people to see and experience, then you will love The Creative Curve by Allen Gannett. Penguin Random House mailed me an early galley copy a couple weeks ago and I devoured it. Today, "it's aliveeeeeeeeeee!" as Allen said in his email this morning. I heard about this book and Allen a couple months ago on LinkedIn, where Allen is incredibly active and a joy to follow. One morning he posted the list of people he interviewed for the book, and I just knew; any book that features Kenya Barris (Blackiish, Barbershop), Brenda Chapman (Lion King, Brave) and the song-writing team Pasek and Paul (Greatest Showman, Lala Land, Dear Evan Hansen) together is my kind of book. It lived up to my initial excitement, with the cherry on top being its closing with a story of one of my personal heroes - J.K. Rowling, and how her flash of creative inspiration on a train that led to Harry Potter was more than just inspiration - it was also coupled with an intense organization, focus, and dedication over many years. But what really makes this book special is this underlying question throughout all the scientific and personal interviews. Could you be a J.K. Rowling? Could your work actually reach people in the ways you’ve only secretly dreamed about but counted yourself out because, really, that's crazy? And are there things you could be doing to get closer? 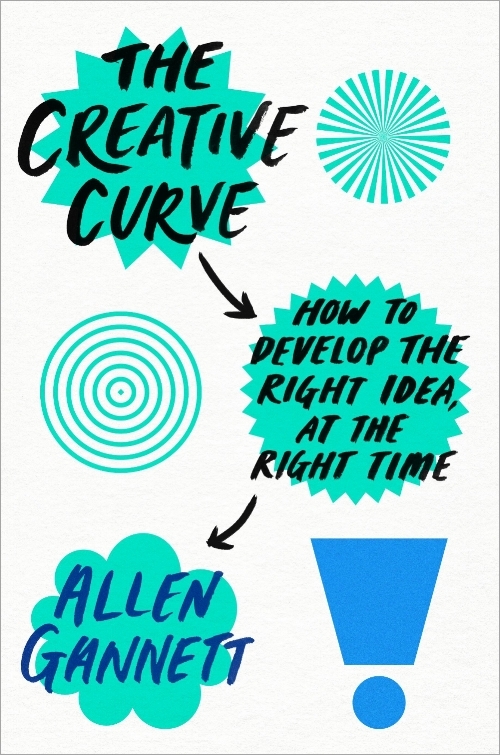 That is what The Creative Curve is all about – Allen combines his interviews with professional artists and creatives and with interviews with scientists to explore the patterns behind creative work that reaches a lot of people. Creative genius is more accessible than we're traditionally taught. It’s also the most terrifying part. Because it might make you - for a moment - dip into a potential you never allowed yourself to believed you had. It’s hard work to make a massive impact with your work, that’s for sure. And while it’s definitely not all in our control, there’s a lot more we can do to move closer to our big creative dreams. It’s not a formula. And it’s not easy. But it is possible. And there are actions you can take, real ones, that go beyond hoping for a big break. But it must, indeed, start with hope. And that is what The Creative Curve - to my mind - is all about. Get The Creative Curve here.